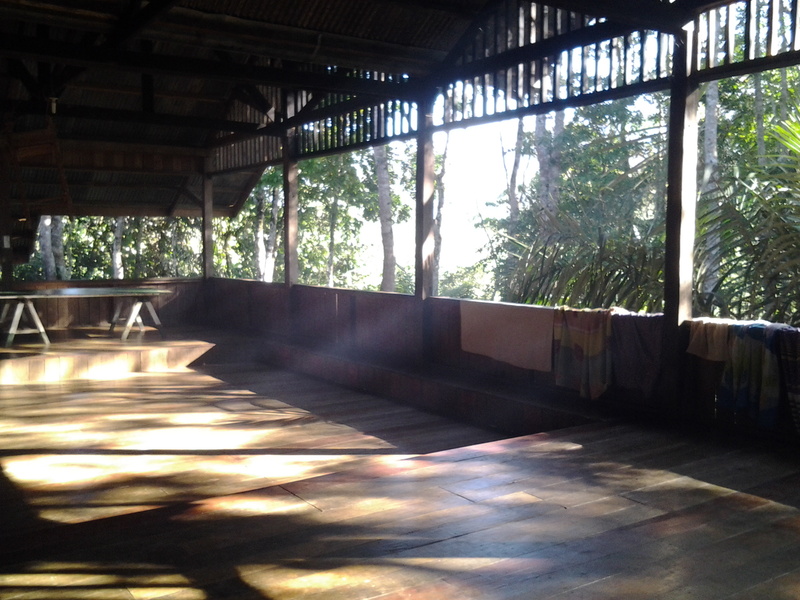 Adagi Balay means ‘big house’ and this is the center for welcoming, blessing, appreciating, and sharing. The cultural concept of Adagi Balay is a place for important gatherings (amul-amul). The Tribal Council meet here to discuss important concerns affecting relationships. For the staff and for those coming from culturally different communities, this is a home where we humble ourselves to experience and recognize the significance of these realities. It is located within the forest and thus continuously connects with it through the use of space shared with the forest. The Adagi Balay is a center for diverse experiences; children play, learn and eat together with staff, while the evening brings dancing and reflection. We are sometimes graced with sight of Hornbills who move along the edge of the forest line, while swifts play around in the evenings, and moths and bats visit at night, and we can observe the fireflies in the trees. As we stay, we realized that we are actively involved with the Adagi kids. We greet them in the morning, we reach out to them during their studies at night and we celebrate with them the learning of the day’s lessons from failures and successes. This gives us a meaningful experience with Adagi Balay. Adagi Balay’s calmness allows us to seek for the real meaning of who we are and appreciate what we do for others. When we stay here, we realize the importance of other people in our life’s discernment and commitment.